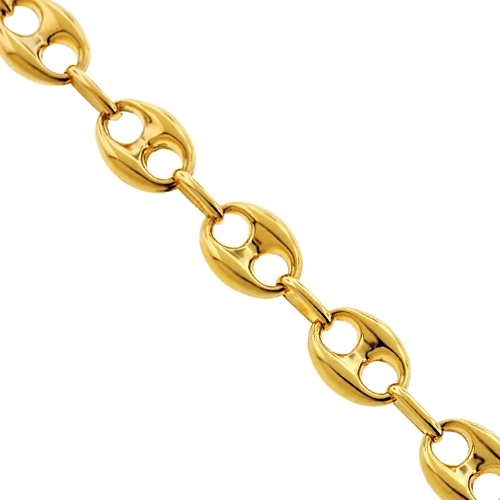 Our men's anchor chain featured puffed links works nicely as a standalone statement! Professionally made of lustrous 10k yellow gold, it has high-polished shiny finish! 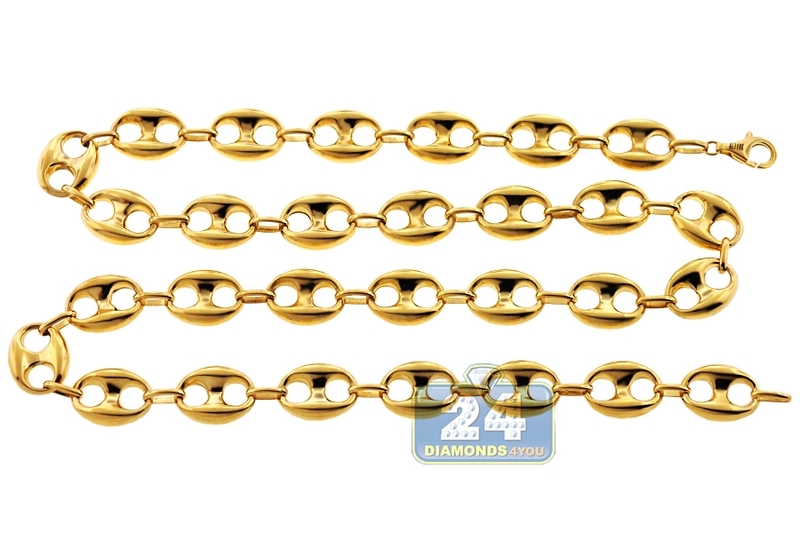 The real yellow gold chain measures 4.5 mm in thickness, 12 mm in width, and available in 24, 26 or 30 inches in length. 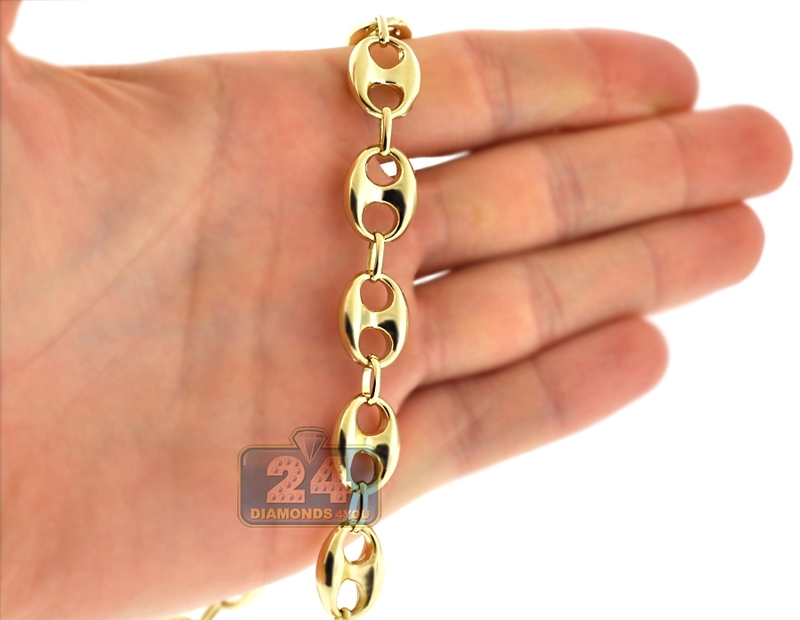 It is also closed by a user-friendly lobster claw clasp. 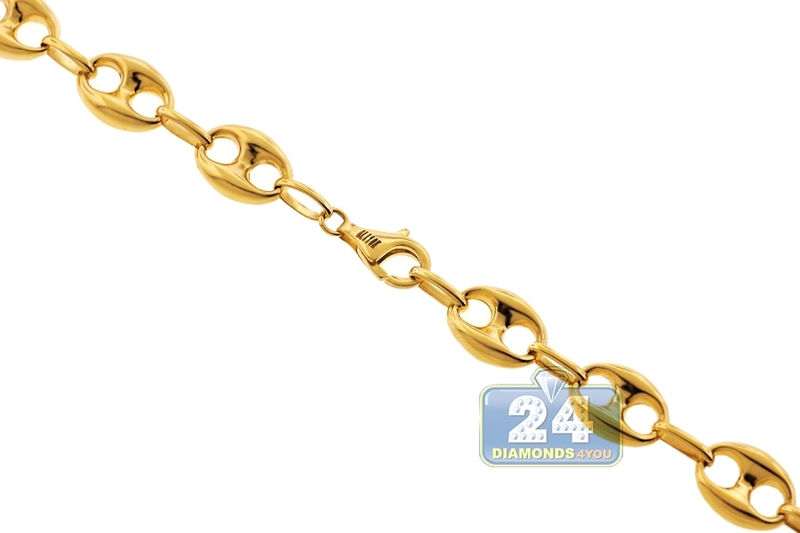 With this gold mariner necklace, you will always feel well-dressed! You've seen it on TV, in magazines and newspapers... what a classic design! 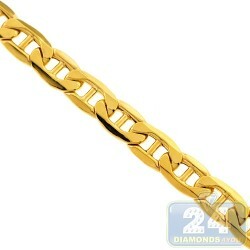 I own three like this in white, rose, yellow and LOVIN' IT.